There’s no better time than now to renovate. | Contact us to get started! 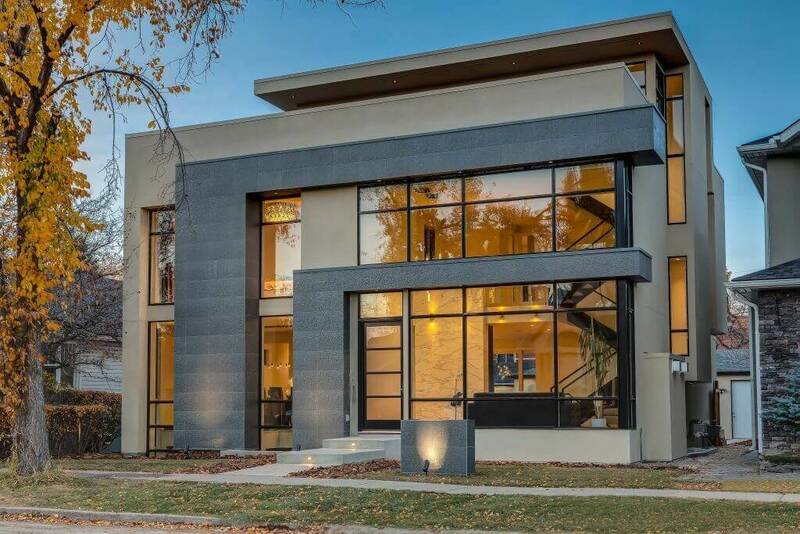 Metal clad windows are a combination of an extruded aluminum exterior and a clear hemlock interior frame. 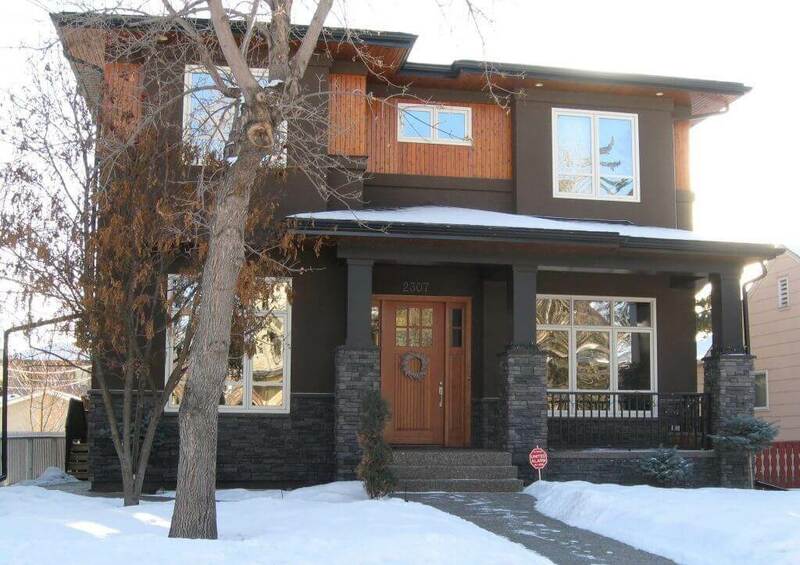 Our metal clad windows provide the perfect combination of strength, durability and low-maintenance exterior. 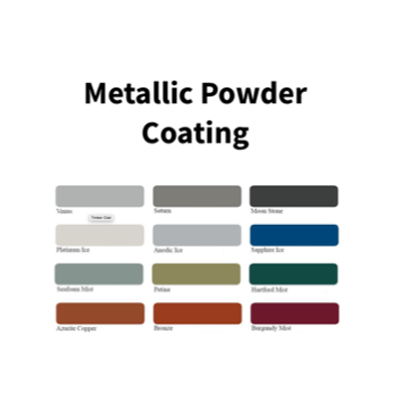 We offer 8 standard exterior colours, 29 optional colours, 12 metallic colours ideal for a new build, replacement or custom design windows. 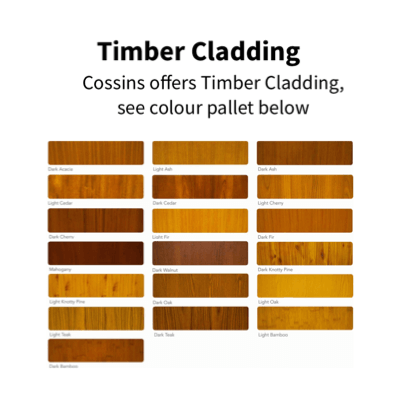 Also available as a complete wood window. 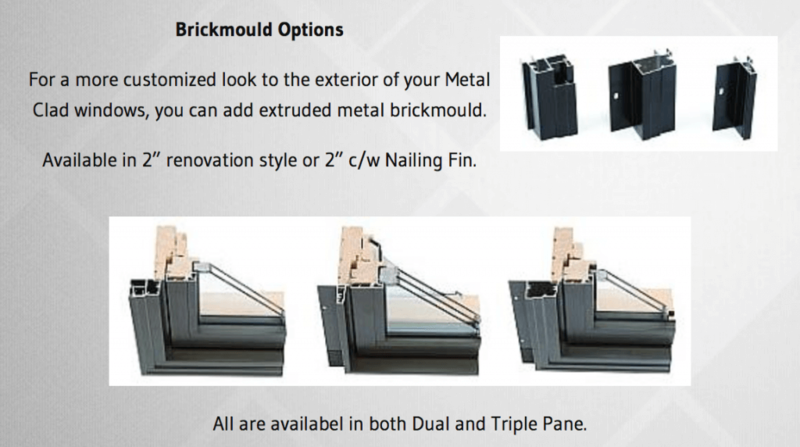 For a heavier look to the exterior, we offer an optional extruded Brick mold. Jamb widths can be customized from 4 ½” – 14” to accommodate new types of Building construction and log homes. Having a jamb thickness of 1-1/4” and a sash of 2” ensures a straight weather tight fit. 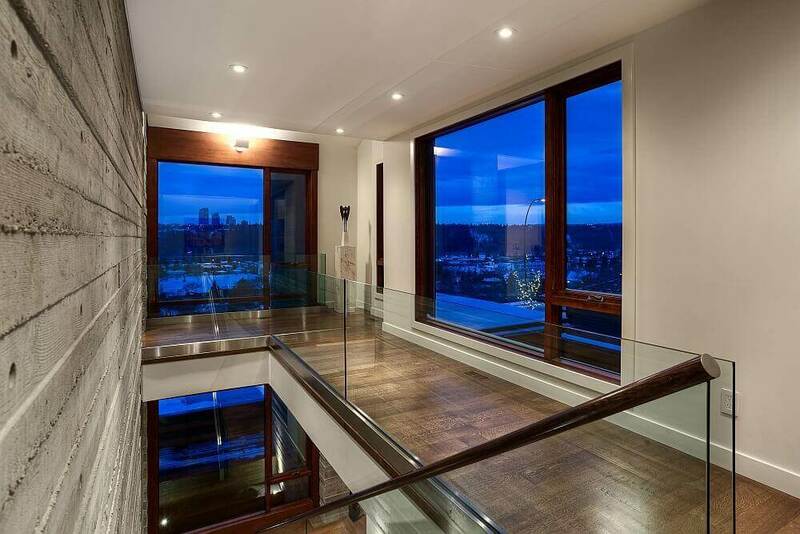 Constructed from clear hemlock; the traditional wood of metal clad windows. All sashes & frames are pretreated with Dryvac 1010 water repellent fungicide, insecticide. All types in this series have exterior glazing stops. This will allow glass replacement without any interior damage. Casement & Awning operators are Truth Encore complete with nesting covers and folding cranks. Both casement and awning utilize the Truth Encore multi-point locking system with removable escutcheon & handle. Interior hardware and matching screen bars are offered in 5 standard colors and 4 upgrade colors. Operator covers have been designed for easy removal allowing for future hardware service. 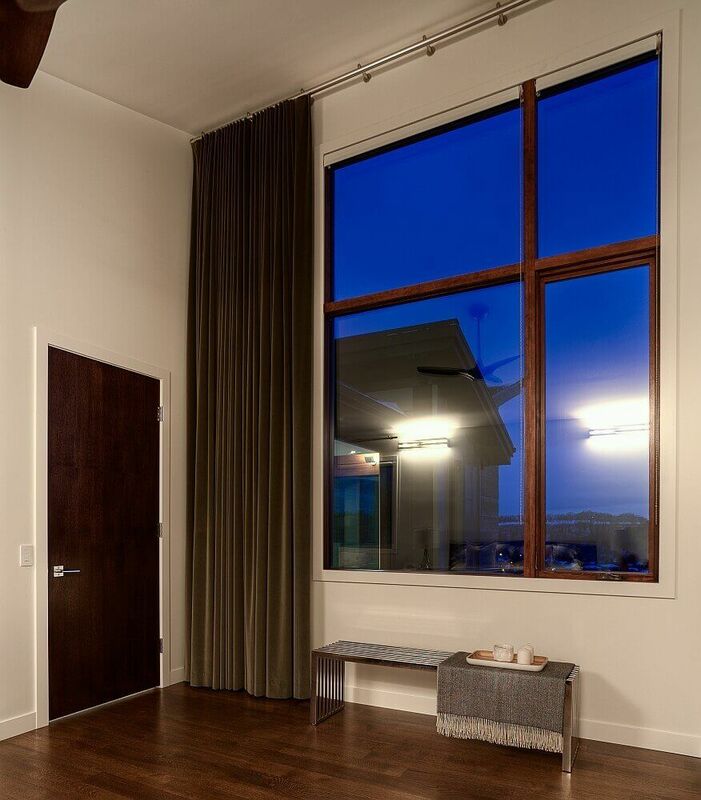 Encore hardware on our casement windows have the ability to open to 90 degrees to make glass cleaning from the inside simple. (some size restrictions may apply). 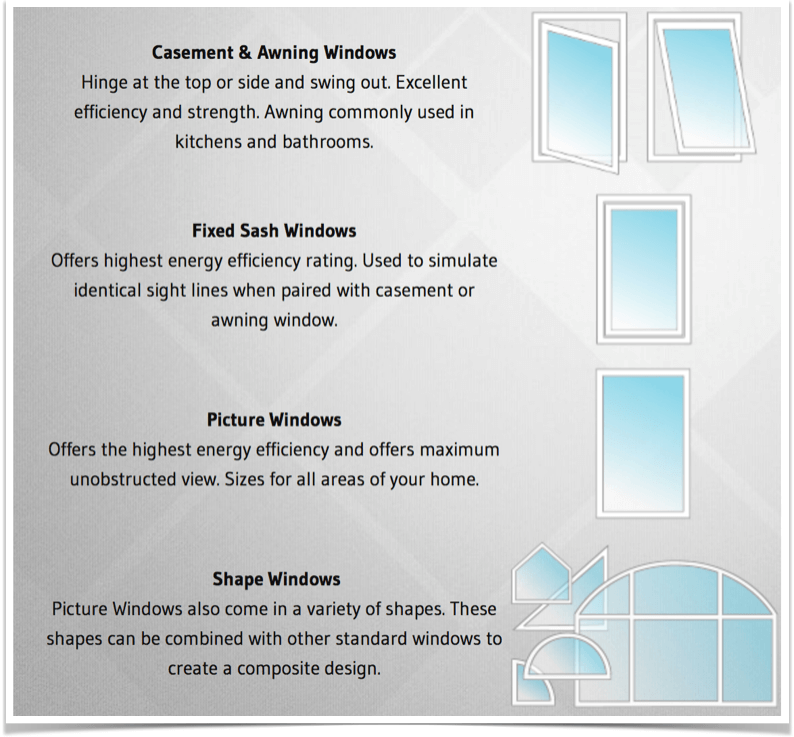 A wide range of glass options are available in soft coat Low – E, Argon to clear as well as triple glazed. Super Spacer is standard on all window products. 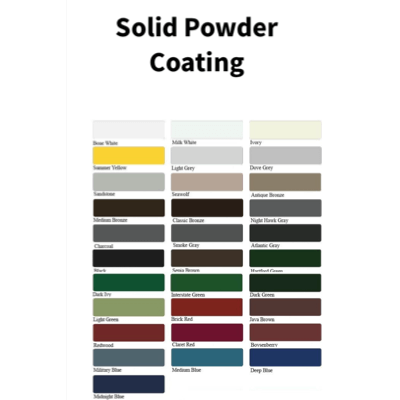 All Cossins metal-clad windows are treated with superior powder-coating technology from Mayne Coatings Premium Powder Coating Solutions. 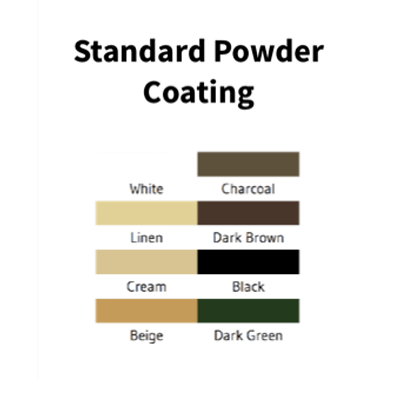 Mayne Coatings provides high performance finishes specifically designed for the architectural community. 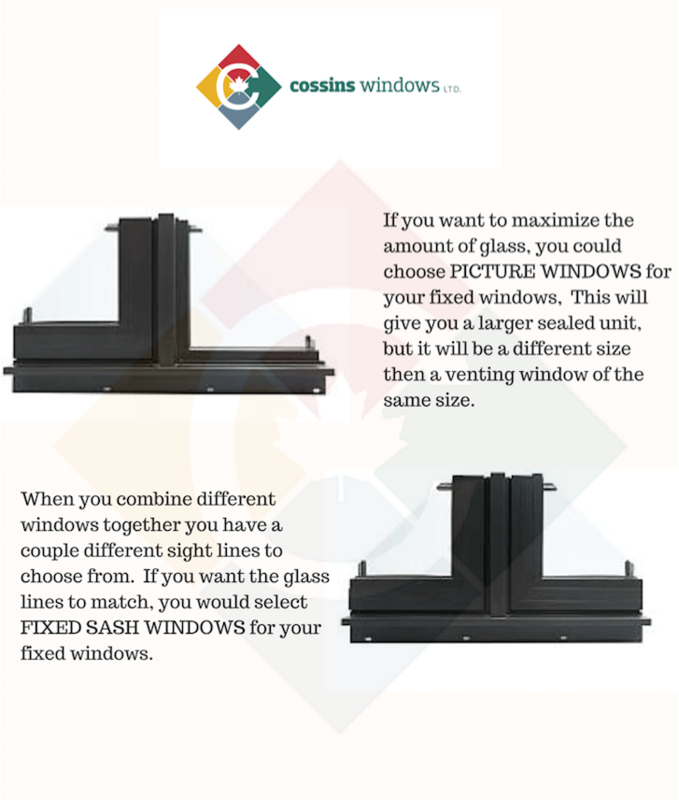 Cossins Windows uses Truth Encore Hardware for casement and awning windows. Considered the leading manufacturer of window and door hardware, Truth Hardware has built their reputation on service and quality. Encore operators open and close with ease. Sash locks, multipoint locking system and hinges offer durable performance.